We can now announce that at our Athena Beach hotel we have built a safe, organised and spacious bike storage facility able to cater for small to large groups. This space allows up to 140 bikes to be stored on vertical and floor mounted racks; furthermore, a comprehensive service station and wash down area has been installed along with secure and individual shoe and helmet lockers with the user’s own personal key. Dales Sports Surfaces Ltd have carried out remedial work on all the bowls greens at Athena Beach/Athena Royal Beach Hotels by turning back the bowling surfaces, grinding out the hot spots on the concrete bases and outdoor Latex Levelling Compound applied to build up the low spots, trying to achieve tolerances acceptable to WORLD BOWLS PERFORMANCE STANDARDS under a 3mtr straight edge. Summer 2017 - Free Half Board upgrade for all arrivals 3-7 May, 30 July - 6 August and 20-27 August 2017. Winter 2017-8 - Free All Inclusive upgrade when you book Full Board for all arrivals 3 December 2017 to 20 February 2018. Summer 2018 - Free Half Board upgrade for all arrivals 3-7 May and 20-27 August 2018. Summer 2017 and Summer 2018 - Free Premium All Inclusive upgrade when you book Full board for arrivals 3-21 May, 9-23 July and 23-27 August. Summer2018 - Free Half Board upgrade for all 2018 arrivals - Book by 30th April 2018. Summer 2018 - Save 35% on Deluxe All Inclusive package board option for all 2018 arrivals - Book by 30th April 2018. Summer 2018 – Free suite upgrade for all 2018 arrivals – Book a 1 bedroom land view suite and receive side sea view. Book a side sea view and receive full sea view – Book by 30th April 2018. Summer 2017 and 2018 - Book an Executive one bedroom pool suite with sea view for a minimum of 4 night stay and get a free VIP transfer to/from Paphos or Larnaca airport and free airport Executive lounge. SUMMER 2018 NOW ON SALE ! Constaninou Bros Hotels for summer 2018 now on sale. 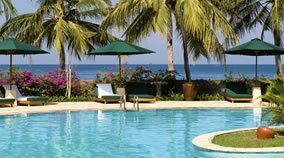 Check out the latest hotel offers with free board upgrades and early booking offers. Athena Royal Beach Hotel – New Junior Suites NOW ON SALE ! Constantinou Bros Hotels would like to update you on our exciting new hotel developments at the Athena Royal Beach Hotel for summer 2017. The Athena Royal Beach Hotel from May 2017 has opened a new top floor with 40 luxurious and spacious Junior and Executive Suites. The suites offer contemporary furnishings with luxury bathrooms with superb sea views. The new spacious suites offer 35 sqm with living room area and luxury bathrooms with separate shower and bath. Exclusive use of private beach or garden Cabana. New VIP check-in, exclusive late breakfast until 11am and late check out subject to availability. Constantinou Bros ATHENA ROYAL BEACH HOTEL (will remain open throughout the winter) season 2017 – 2018. The Constantinou Bros Athena Royal Beach Hotel will be undergoing an extension on the existing building, of which will require the hotel to be closed between 27/11/2016 until 28/03/2017 (inclusive). After the success and very popular demand received from guests for Superior Deluxe rooms, not only will the existing rooms of this category be upgraded, but an additional floor consisting of 41 additional Superior Deluxe rooms will also be created. The existing and newly built rooms will all offer an extra comfort size of 35m2. Constantinou Bros ATHENA BEACH HOTEL will remain open throughout the winter season 2016 - 2017 and it will offer specialised programs with the dance tutors, as well as bowling and an enhanced festive program for the period of Christmas and New Year. Constantinou Bros Hotels have upgraded their WI-FI network which now offers higher speed Internet access for all hotel rooms and all hotel public areas. All hotels including the Athena Beach Hotel, Athena Royal Beach Hotel, Pioneer Beach Hotel and Asimina Suites Hotel now offer FREE internet access in all rooms and public areas. In the Leda Restaurant, a new Mediterranean style breakfast with a delicious choice of healthy options at no additional charge for all guests. Furthermore, a new extra pool bar in the garden, aptly named the “Pool Bar”, to provide a better service for guests relaxing by the pool and surrounding lawned gardens. New upgraded room categories which consist of Superior rooms, Superior Deluxe rooms and Suites. A second restaurant has also been put in operation offering late breakfast from 08.00 – 11.00 exclusively to the guests of the Superior and Suite categories. From summer 2016 the hotel will be functioning as Sensimar Pioneer Beach Hotel operated by Constantinou Bros Hotels. The hotel will be under the Management of Constantinou Bros Hotels and it will continue to offer the same upgraded services and programs for Couples. All Constantinou Bros Hotels are being upgraded with improved Wi-Fi coverage in all hotels. Constantinou Bros Athena Beach Hotel will remain open throughout the winter season 2015 - 2016 and it will offer specialised programs with the dance tutors, as well as bowling and an enhanced festive program for the period of Christmas and New Year. The Athena Royal Beach Hotel has been fully renovated last winter and re-opened its doors on March 1st 2015. The updates include the refurbishment of all the Athena Royal Beach hotel rooms and a new Superior room category which has been created with superb sea views, upgraded furnishings, late checkout option to 18.00 (subject to availability), VIP check-in, Luxury toiletries, Free Wi-Fi. a new and separate Breakfast room which serves a late breakfast until 11.00 am. Other improvements include the renovation and expansion of the Elixir Spa. Constantinou Bros Hotels have launched a new breakfast concept in all of its hotels and now offers a new Mediterranean selection with an enriched buffet with a wide choice of delicious local and regional dishes to help you start your day. Constantinou Bros Hotels are proud to play a supporting role to be affiliated with the Cyprus Aphrodite Half Marathon, through the historic seaside town of Paphos, the legendary birthplace of goddess Aphrodite. Constantinou Bros Hotels relationship with the Aphrodite Half Marathon began in 2008 and since then the company continues its commitment as a proud sponsor. More than 600 runners are expected to take part in this year's marathon on 22 November 2015. It is a very well organised event that incorporates a half marathon, 5km fun run, a Pasta Pastry and a Gala Dinner at the prestigious Constantinou Bros Athena Beach Hotel. The Constantinou Bros Athena Beach Hotel boasts a stunning location right on the beach and is an ideal choice to use as a base for the Cyprus Marathon with easy access to places of historic and cultural interest. Paphos has been awarded a Gold Medal for its Quality Coastlines and has been included in the top 20 destinations as the cleanest and greenest, with its substantial natural heritage making it a sustainable tourist destination. 2015 Atlantic Bowls Championships hosted by Athena Beach Hotel, Paphos Cyprus. World Bowls is pleased to announce Constantinou Bros Athena Beach Hotel, Paphos Cyprus will be hosting the 2015 Atlantic Championships from 30th November - 13th December 2015. For Guests accommodated in Standard room categories at the Constantinou Bros Athena Beach Hotel, WI-FI will be available at a minimal charge of €3.00 per day. 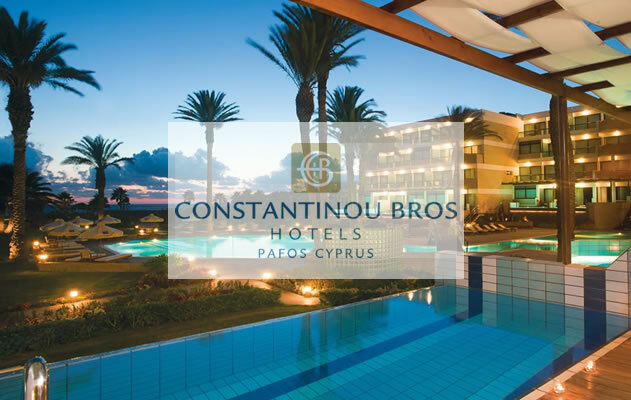 The CONSTANTINOU BROS ATHENA BEACH HOTEL has officially re-opened its doors to its guests as of 26th February 2014, with a revived new look including a facelift on the exterior of the hotel and completed upgrade of the restaurants. The ATHENA BEACH HOTEL will now be welcoming its guests throughout the year and it will remain in operation for 12 months continuously. In addition to the existing mixture of both casual, themed and fine dining restaurants (including authentic Italian cuisine complete with traditional Italian ovens) we have added to our selection an extra sixth restaurant, the “Helios Grill Bar” and for pancake fans, a creperie. The launch of the “Duplex” selection has been enriched with 12 “Duplex” Superior Front Sea View rooms and 2 “Duplex” Junior Suites – with 2 Private Pools, and they can accommodate families and friends of 4-6 persons travelling together. CONSTANTINOU BROS ATHENA ROYAL BEACH HOTEL - The creation of the all new “AKAKIA POOL/BEACH BAR” in the gardens and the addition of an authentic wood burning oven for pizza at the Olive Tree Restaurant. CONSTANTINOU BROS ASIMINA SUITES HOTEL - The five star ASIMINA SUITES HOTEL will be launching the all new luxurious “Deluxe Package” which will be available from 1st April 2014. For pizza fans there is an original wood burning oven here too.